Court voids local Jewish community’s April internal elections, declaring that communal leaders have no authority to continue their rule. 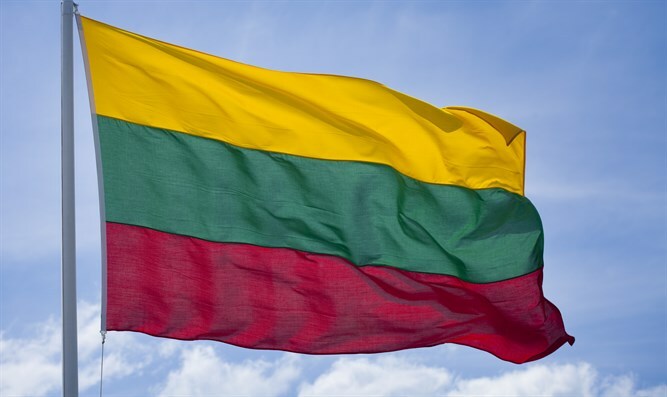 In an unusual move, a Lithuanian court voided the local Jewish community’s April internal elections, declaring that communal leaders have no legal authority to continue their rule. The Dec. 21 ruling by Vilnius District Court, which is the first of its kind in years in Europe, is the latest development in the fight against what many Lithuanian Jews consider a power grab by the community’s president, Faina Kukliansky, and may affect for her ability both to continue to represent members of her community and to administer millions of dollars given to that community by the government as restitution for the Holocaust. The ruling by Judge Rima Bražinskienė, which was translated by the site Defending History, was in a lawsuit filed earlier this year by the Vilnius Jewish Community against Kukliansky’s Jewish Community of Lithuania, a national umbrella group for all of the country’s Jewish communities, known also as LBZ. The lawsuit followed a mid-campaign rule change by the LBZ board. Amid growing resentment against Kukliansky over alleged corruption and nepotism — which she has denied – the board she governs decided to replace its proportional voting system with one that gives each member organization one vote. The statement, for which LZB later apologized, prompted critics to say LZB under Kukliansky was stoking ethnic tensions and flagging some Jews as agents of Russia in a country where many people and politicians resent Russia’s expansionist tendencies. Following the District Court ruling, LZB in a statement criticized the court’s ruling as “referring neither to the imperative of the law ensuring the right and equality of decision-makers of all members of the association” nor provisions ensuring communal discretion. It did not say whether LZB will hold a new election, as the Vilnius Jewish Community urged LZB to do following the ruling. “Internal disagreements that were opened up to publicly will add honor to no one, will not reduce the manifestations of anti-Semitism, will not destroy the stereotypes and will not facilitate meaningful work for the benefit of members of the community. It is a shame that a small Jewish community is split up where it would be possible to consolidate efforts to achieve higher goals – the fight against anti-Semitism,” they said. In the background of this legal fight, LZB is also facing criticism for going along with a government plan to build a convention center on what used to be a large cemetery in Vilnius. Soviets destroyed the Piramont Cemetery decades ago but some rabbis and Jewish community members say construction on the site that still contains the remains of thousands of Jewish bodies would violate Jewish religious laws. But other rabbis and LZB maintain the site intended for the conference center does not contain human remains. Kukliansky is also the co-chairperson of the Goodwill Foundation, which was set up in 2011 to administer restitution funds to the tune of roughly $40 million.